Roger Lee Engle was born August 2, 1943 in Oregon City, Oregon. His parents were the late Lee Edward and Blanche Lorraine (Daniels) Engle of Mulino, Oregon. He grew up in Mulino and graduated from Molalla High School in 1961. He received a bachelor's degree from Oregon College of Education (now Western Oregon State University) in 1965 and began his teaching career in an elementary school in Lompoc, California, later San Bruno Elementary School, near San Francisco. After 10 years he left teaching. His life was an adventure. He worked selling shaved ice out of a food truck in Kauai, Hawaii. He was a butler for a wealthy family in Palm Beach, Florida. He managed an adult club in eastern Florida where he owned a house and lived before he moved back to Oregon around 1990. Roger helped to care for his mother and was employed by the Trophy Shop in Canby, Oregon and later the Willamette Valley Country Club in Canby. In 2000, Roger and his brother Ronald purchased the house in Mulino where his mother was raised. Renovation was begun in May 2000 and it opened as Mulino House Bed and Breakfast. In 2009, the house was sold to the Oregon Department of Transportation to make way for widening the state highway. In January of 2010, Roger moved to San Benito with his good friend Nick Padron. In San Benito, a small town in southeast Texas, Roger purchased and ran a liquor store up until the time of his death. He died unexpectedly on December 14, 2014. He was a member of Smyrna United Church of Christ, Yoder, Oregon, the Mulino Grange, All Saints Episcopal Church, San Benito and was an active member of the Molalla High School Alumni Association. He served on the Molalla Alumni Scholarship Committee. Roger is survived by his brother Ronald (Annette) Engle, his nephews Robert (Jeane) Engle of Mulino, Jon (Christy) Engle of Happy Valley, Oregon and his niece, Karen Owens of Happy Valley. Roger is also survived by best friend Nick and Nick's family in Texas and Idaho. Roger also leaves a number of great nephews and nieces, cousins and friends who will miss him very much. 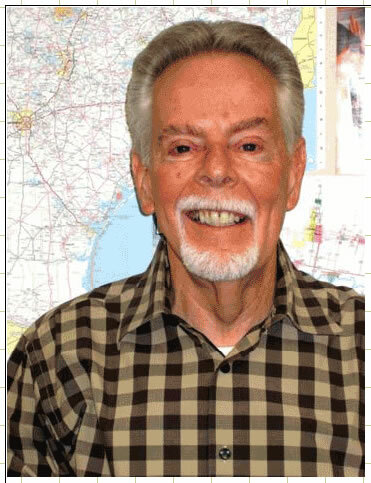 Services are tentatively planned at All Saints Episcopal Church in San Benito on 1:00PM January 4, 2015 and at Smyrna United Church of Christ, Canby at 2:00 PM on January 31, 2015. Donations in Roger's name may be made to the MHS Alumni Scholarship Fund (P.O. Box 454, Molalla, OR 97038) or to a charity of your choice.